How to view my iBooks library on my iPhone from iTunes on my Windows computer? 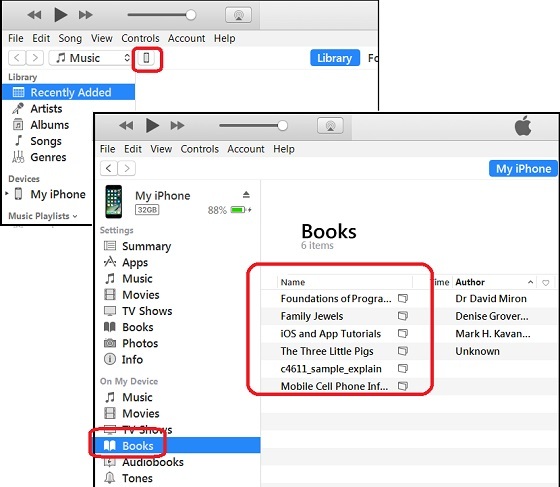 You can follow this tutorial to view iBooks library on you iPhone from iTunes on your Windows computer. 4. Click on "Books" under "On My Device" on the left. You see a list of books in your iBooks library on your iPhone.